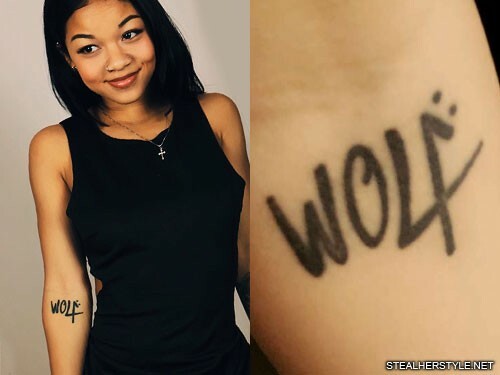 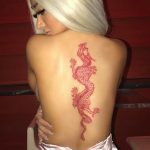 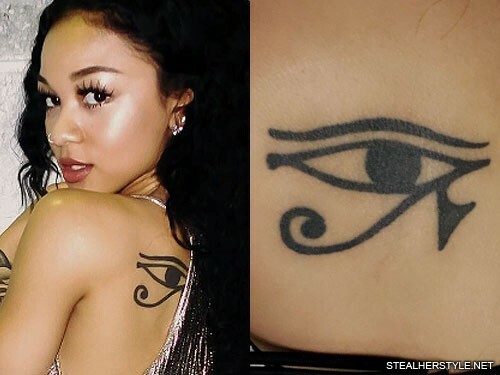 Wolftyla has a tattoo of her nickname “wolf” tattooed on the inside of her right elbow. 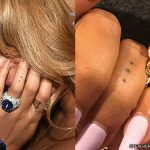 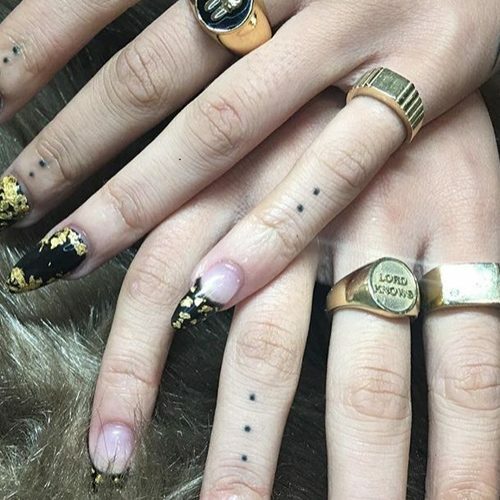 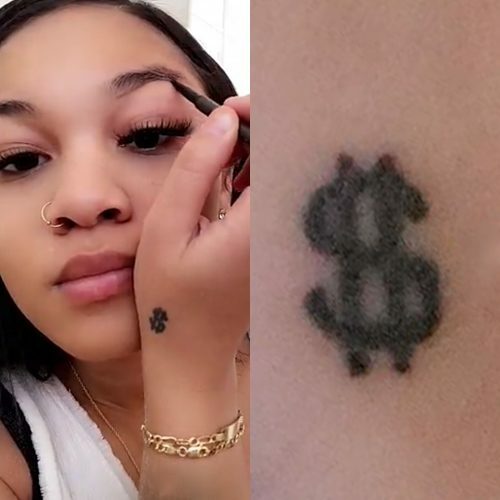 This design, with two dots above the “f,” is also the logo that she uses for her career as a singer/songwriter and internet star. 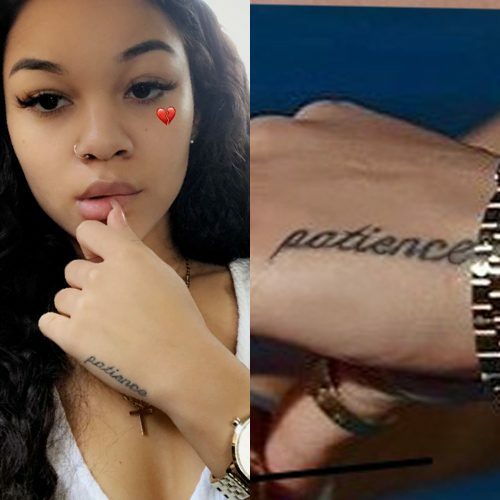 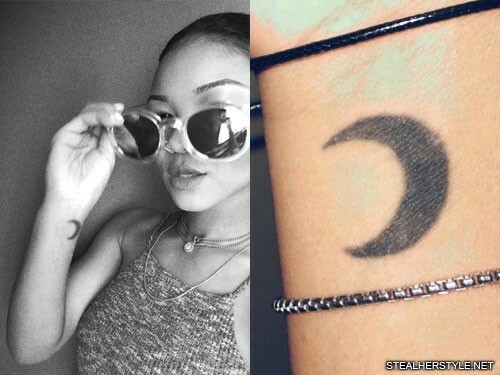 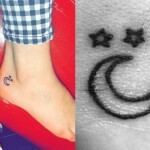 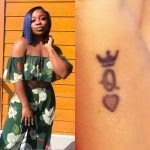 Wolftyla has a silhouette of a crescent moon tattooed on the inside of her right wrist.